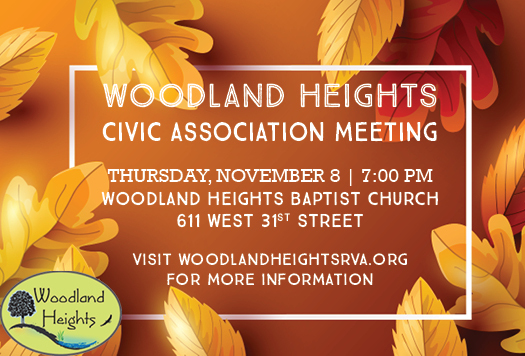 The Woodland Heights Civic Association will hold elections for new officers at our upcoming February 21, 2019 meeting. Offices up for election are President, Secretary and Treasurer. Neighbor Makes Day is a community event celebrating and showcasing local artists and artisans. The event takes place on November 10th from 12 Noon to 5 PM at Fonticello Park. Artists and artisans of all sorts, from sculptors to bakers, are invited to set-up and display / sell hand-made objects. If you make quilts, jam, cakes, paintings, drawings or any other type of art please feel free to join us. Artists of all ages are welcome. 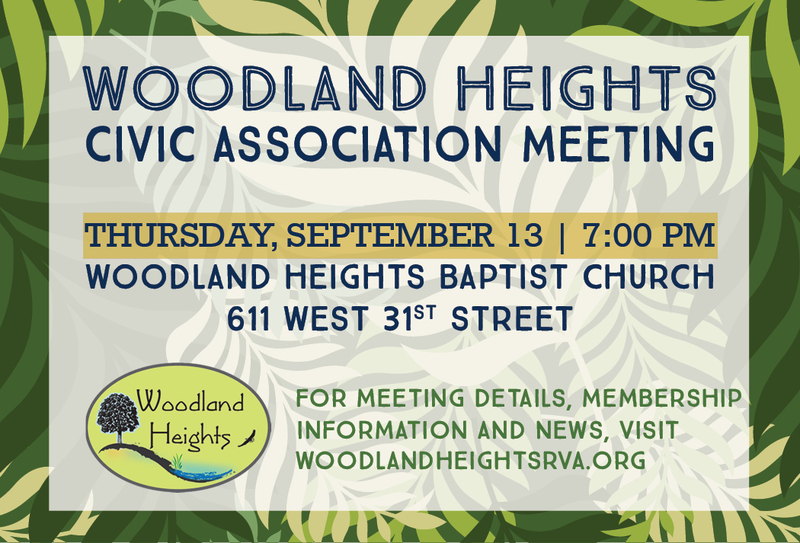 There is no charge to participate if you are a member of our civic association. 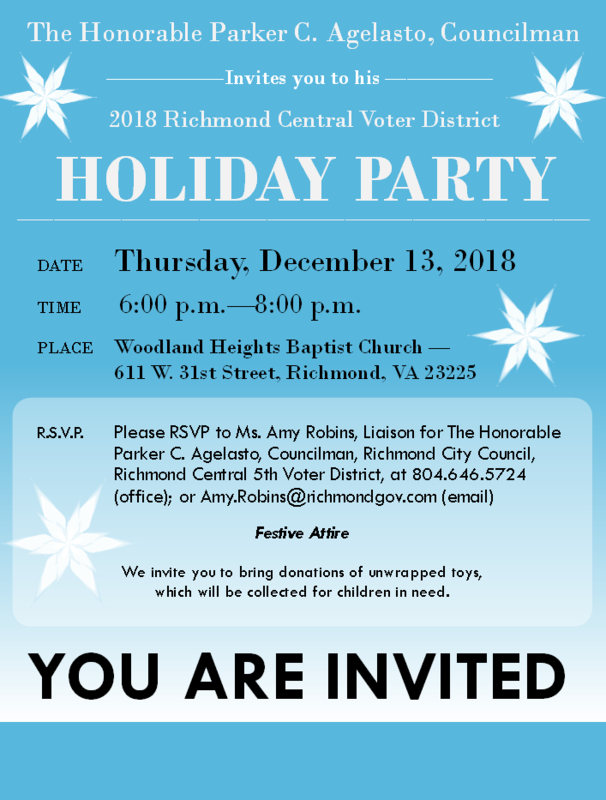 Artists and artisans from surrounding neighborhoods and communities in Richmond may participate. A $15 fee per booth is required to participate in our event (if non-members). Participants are responsible for bringing their own tables and chairs. Tents are encouraged. Sign-up for our Neighbor Makes Day.